Today our Managing Director, David Smith presented at the “Making Skills Work” seminar at the new Ayrshire College building in Kilmarnock. David discussed the succession plan for the business along with the advantages of employing and investing in young people. 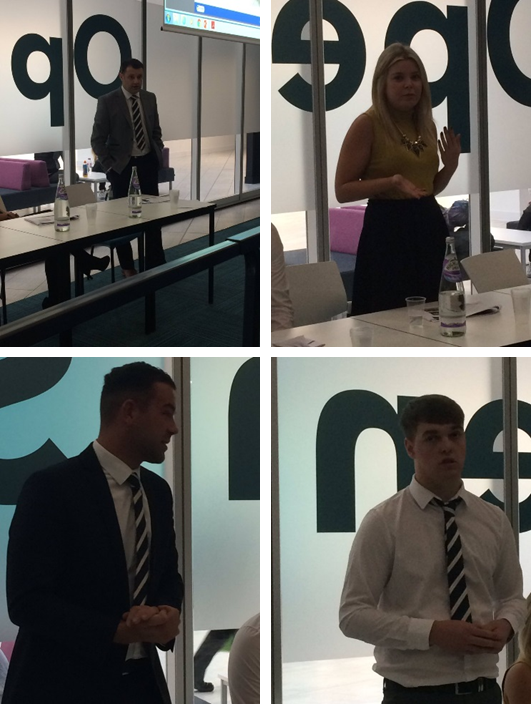 They then heard from three of our young people, Claire Hosie (Business Co-Ordinator), Scott Fleming (Trainee Quantity Surveyor) and Alan Scott (Assistant Project Manager). Each of them discussed their job roles, the training they have received and how they have individually progressed within Ashleigh.